Your Current and Potential Clients are on Facebook and Make Real Estate Based Decisions on Agent Facebook Usage. According to the NAR (page 131), sellers 36 and younger were the most likely to work with agents who market on social media at 23%, 19% for sellers 37 to 51. This means you can get a 20% “more likely to work with you” boost from doing something as easy as marketing your listings on Facebook. 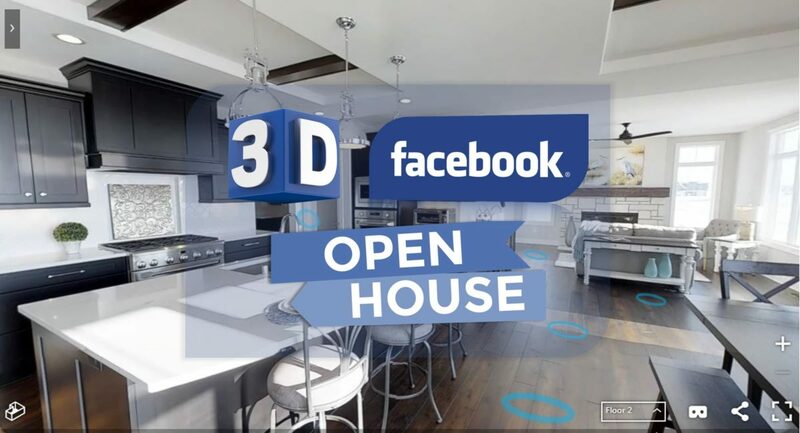 Imagine when you are going a step above just posting the listing on social media when you host a 3D open house? The boost to your business could be massive. And when it comes to the term “social media”, Facebook still dominates the social media usage, 79% of Americans have a Facebook profile and 53% log in every day. Putting a 3D open house of your listing in front of that many people is nothing but pure, powerful marketing and puts you the agent in front of those same people too. See and experience the layout of the listing in a 3D Dollhouse view. Can’t do that on a flyer! It Statistically WORKS. At the end of the day, you as the agent better (should) be utilizing the best-proven strategies you can to market every listing you take. With the recent drop in price on 3D tour technology (some markets you can get pro listing photos and a 3D tour for as little as $159 – $299!) from service providers just like us (shameless plug). This means you can now afford a 3D tour on literally every listing to increase your branding and show off your expertise to your sellers and future clients with tangible results. We know of at least 12 agents (VRX Media clients) that have sold a listing directly off of a 3D tour, where the buyer called the agent from viewing the 3D tour on their iPad, computer, or smartphone and put an offer in right on the phone! Our internal research has shown that listings that use professional photography and a 3D tour sell 38% faster than listings that don’t! Look at these 3D tour stats on a listing that was shared and boosted on Facebook for $20, where they saw 120+ unique visitors in the 3D tour in the first 2 days and over 500 walks after 2 weeks. Ever have a traditional open house have 120+ people go through the house? Over 120+ Unique Visitors in First 2 Days, Over 500 After 2 Weeks and 140+ People Walked it 2x! This is proven to work, and you are doing a legitimate disservice to any listings/sellers you are not using this on. If you won’t do it on all your listings, the next agent will, and often will reap the longterm benefits of winning more listings, having their listings sell faster, and increased referrals from utilizing a unique, yet proven method like a 3D Facebook Open House.